Datar expressed the need for review of the judgment in Binoy Viswam (upholding the mandatory linkage of Aadhaar with PAN card in view of Section 139AA of the IT Act, 1961). On Day 15 of the Aadhaar hearing, senior counsel Arvind Datar, appearing on behalf of the petitioners, has advanced that the introduction of the Aadhaar (Targeted Deliveries of Financial and Other Subsidies, Benefits and Services) Act of 2016 as a Money Bill was unconstitutional and that it could have, at the most, been treated as a Finance Bill which required the approval of the Rajya Sabha. Referring to Article 110(3) in so far as it provides that the decision of the Speaker of the Lok Sabha as to whether a Bill is a ‘Money Bill’ shall be final, he submitted that the said provision does not exclude the scope of judicial review. On Day 1 of the Aadhaar hearing, senior counsel P Chidambaram had referred the bench to the 2007 judgment in Raja Ram Pal v. Hon’ble Speaker, Lok Sabha, wherein it was observed, “Article 212 seems to make it possible for a citizen to call in question in the appropriate court of law the validity of any proceedings inside the legislative chamber if his case is that the said proceedings suffer not from mere irregularity of procedure, but from an illegality. If the impugned procedure is illegal and unconstitutional, it would be open to be scrutinized in a court of law, though such scrutiny is prohibited if the complaint against the procedure is no more than this that the procedure was irregular." Further, on that occasion, in view of the 2014 judgment in Mohd. 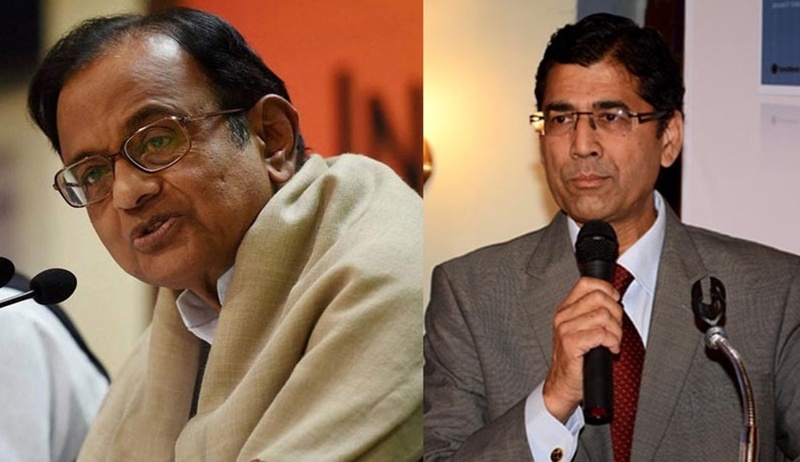 Saeed Siddiqui v. State of UP, Chidambaram and Justice Chandrachud had agreed that the decision of the Speaker on whether a Bill is a Money Bill shall be final for the members of the house of the legislature, but the same may be called into question in the courts on account of an illegality. Reverting to his argument from yesterday regarding Rule 9 of the PMLA Rules (as amended in 2017) which requires linkage with Aadhaar number for existing bank accounts and mandates the same for new accounts, he said that the consent of the account holder that is sought to be procured in the form is of no avail in view of the said Rules, the noncompliance with which renders their bank account inoperable. He also indicated the order dated October 15, 2015 of the apex court in Justice KS Puttaswamy wherein the court had limited the mandate of Aadhaar to PDS, LPG Distribution scheme, MGNREGA, National Security Assistance Programme, PM Jana Dhana Yojana and Employees’ Provident Fund Scheme and declined the permission in that behalf to RBI, IRDAI and TRAI. Stating that the Aadhaar scheme was envisaged only in respect of ‘Subsidies, Benefits and Services’ the receipt or expenditure of which is credited or incurred on the Consolidated Fund of India, Datar perused the Statement of Objects and Reasons of the Aadhaar Act. Justice DY Chandrachud also observed that it is prima facie limited in its applicability as under Section 7. At a later stage, Datar also criticised the mandate of Section 7. He cited the instance of even Tirupati temple requiring Aadhaar. “What is the issue in Aadhaar being required at several places? Like in the case of driver’s license”, inquired Justice Ashok Bhushan. “At the entrance to the airport, one is required to furnish an ID proof. But it would be unreasonable to impose a condition that one cannot enter the airport without a driver’s license,” responded Datar. Thereupon, Datar indicated Parliament speeches (including that of Congress leader Jairam Ramesh) recommending an amendment in the Act of 2016 to the effect of deleting Section 57, which allows even nonstate entities to mandate Aadhaar. Justice Chandrachud observed that by virtue of Section 57, permitting even private entities require the Aadhaar number, runs contrary to the concept of Money Bill. Justice Chandrachud also noted that there is no state interest involved in allowing private agencies to require Aadhaar. Further, the senior counsel submitted, in context of the proviso to Section 57 making the mandate of Aadhaar by state and non-state entities also subject to the requirements of informed consent, counselling and data protection as per Section 8 and Chapter VI, that the concept of consent is illusionary by virtue of statutory provisions such as the PMLA Rules. He advanced that ‘consent’ has to be understood as ‘consensus ad idem’ as under the Indian Contract Act of 1872. Datar cited the argument in the American Congress against the Social Security Number becoming the unique ID proof in all states in the USA as well as the backdrop in which the Privacy Act of 1974 was introduced. Thereupon, he reiterated the arguments advanced earlier by other senior counsels- excessive delegation on account of definitions of bio-metric and core bio-metric information being inclusive and not exhaustive in the Act of 2016; Aadhaar scheme acting as an instrument of exclusion from social security schemes by virtue of Section 7 and the probabilistic nature of bio-metrics [reference made to Swaraj Abhiyan, (2016) 7 SCC 498]; Regulation 14 of the Enrolment and Update Regulations of 2016 (rejection of Enrolment) and Regulations 27, 28 and 29 (omission and deactivation) being arbitrary. He expressed the need for review of the judgment in Binoy Viswam (upholding the mandatory linkage of Aadhaar with PAN card in view of Section 139AA of the IT Act, 1961).Further, he submitted that while the NIA Bill was being considered, the Executive power of the Union under Article 73 could not be said to be absolute. In the same context, he also cited the 1955 judgment in Rai Saheb Ram Jawaya Kapur v. State of Punjab. The senior counsel on Wednesday drew the attention of the bench to the earlier interim orders passed by the apex court in connection with the Aadhaar controversy. On September 23, 2013, it was ruled that no person shall be made to suffer for not possessing a Unique Identification Number even if the same has been mandated by any government authority and that the Aadhaar card shall be issued only after due inspection so as to not issue the same to illegal immigrants. On March 24, 2014, in SLP (Crl.) 2524/2014, it had been reiterated that no one shall be deprived of any services or social schemes for the want of Aadhaar and all government authorities had been directed to accordingly modify any circulars or notifications issued by them. The order dated September 23, 2013 had been reaffirmed on March 16, 2015. Thereafter, on August 11, 2015, a 3 judge bench had held that the Union of India shall publicise via both print and electronic media that Aadhaar is not mandatory for any social security schemes other than Public Distribution System scheme and the LPG distribution scheme. Finally, on October 15, 2015, a 5-judge bench of the top court had added the MGNREGA scheme, the National Security Assistance Programme, the PM Jan Dhan Yojana and Employees’ Provident Fund Scheme to the earlier list of two schemes. Further, it was held that the order dated September 23, 2013 shall continue to be in force and Aadhaar shall be purely voluntary till such time the matter is finally decided by the court one way or the other. He submitted that after the coming into force of the Act of 2016, it was pertinent that the government and other civil authorities seek a variation of the apex court orders to validate the 139 circulars and notifications mandating Aadhaar. He remarked that in the jallikattu and the highway liquor ban cases, the apex court orders had been adhered to, while in the present case, there has been contempt. Voicing the need for provisions for deletion of sensitive, personal information and for opting out, he concluded his arguments, citing the 1952 judgment in State of West Bengal v. Anwar Ali Sarkar on the reasonableness of a statue. Thereupon, senior counsel P Chidambaram commenced his submissions on the subject of Money Bill. Starting with Article 107 on the introduction and passing of bills, he proceeded to discuss financial bills and money bills as a subset thereof with reference to Articles 110 and 117. In view of the fact that a Money Bill may only be introduced in the Lok Sabha and on account of the curtailment of the powers of the Rajya Sabha and the President in respect thereof, he submitted that the relevant provision may be accorded a strict interpretation. He proceeded to explain the substantive difference between Articles 110 and 117 based on the use of the term ‘only’. Further, he discussed the exclusion of jurisdiction of the courts by making reference to Article 74(2), clauses (2) and (3) of Article 163 and Article 363. He mentioned Article 103 providing that the decision of the President on the disqualification of an MP shall be final but requiring the President to obtain the opinion of the Election Commission before deciding on the disqualification, in context of Article 110(3) which renders as final the decision of the Lok Sabha Speaker on the question of Money Bill. In view of the Attorney General’s recommendation that the bench can consider the question of extension in the last week of March, Justice Chandrachud observed that in the event the deadline is extended towards the end of the month of March, the financial institutions shall continue to proceed in uncertainty on the assumption that March 31 is the deadline. The bench agreed to deliberate on the issue of extension after the conclusion of Chidambaram’s arguments. It may be noted that by interim order dated December 15, 2017, the Supreme Court had set the March 31 deadline. The hearing shall resume on next Tuesday.